Are you looking for trusted hybrid battery repair services? At Bumblebee Batteries, we can assist you if you are the owner of a hybrid car and require help with keeping it on the road and deriving as much quality use as possible from it. More and more drivers are choosing to invest in hybrid cars to make a valuable contribution to the environment and to save money of upkeep and fuel. Hybrid vehicles are between 20%-35% more fuel efficient than regular ones and can decrease harmful emissions between 25%-35%. 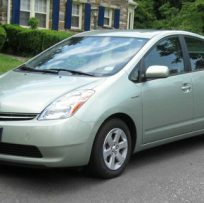 Owning a hybrid vehicle can even mean enjoying generous tax breaks, with some drivers being able to save as much as $3,400 in taxes. The advantages of buying a hybrid car vastly outweigh the downsides, though there are some things you need to bear in mind before you hand over your cash. For instance, you can expect to pay around 20% more for such a vehicle on average. Furthermore, the aftercare market can leave a lot to be desired – however, we formed our company to address many issues faced by the owners of hybrid vehicles such as restricted battery life. It’s worth remembering that you stand to make back much of what you pay upfront via the heightened fuel efficiency and other factors, which means buying a hybrid car is a wonderful investment. You will normally need to start thinking about replacing the battery between 6 and 10 years after purchasing it. We can assist you if you do need to buy a new battery. Our BeeMax hybrid batteries can act as a direct replacement for your Toyota or Honda IMA hybrid battery whilst enhancing the performance of your vehicle significantly. Our cells offer a host of welcome features, such as greater plate surface area, which means you can expect to enjoy greater capacity, internal resistance and power output. All our batteries are tested rigorously before they are shipped. All 120 cells in the battery are replaced, unlike many other re-manufactured batteries where only the bad cells are replaced. All the cells are manufactured under ISO9002 quality standards via the very latest NiMH manufacturing technology. We ensure every battery we sell meets our precise performance specifications. Do not hesitate to call on 888-968-5005 or contact us via the website if you are looking for hybrid battery repair services.